Our fab Louis cushion cover is exclusive to Crumple and Co. 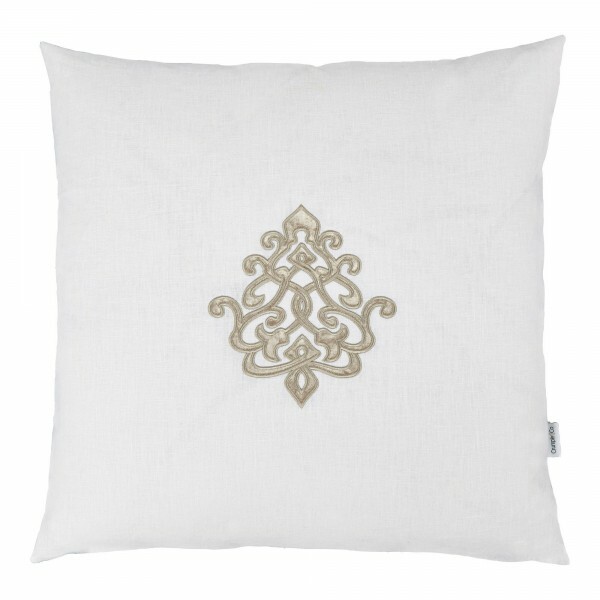 Manufactured here in the UK in a lovely fresh white linen and beautifully appliqued in a lovely soft grey crushed velvet. Sizes 60 x 60 and 30 x 50. 100% Linen case with man made velvet applique motif. Dry Clean only. Made in the UK exclusively for Crumple and Co.